Omaha Bounce House Rentals...The Party Starts Here! 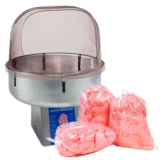 We recently added Table and Chair Rentals, a Margarita/Slushi Machine, Carnival Games and Knockerballs. Check them out!!! 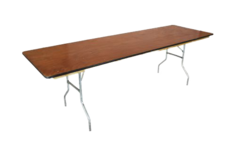 Don't forget to ask about our bundle specials whether it be multiple bounces houses, bounce house with concessions, bounce houses and face painting or tables and chairs with any other item. Welcome to Jumpers 4 You! 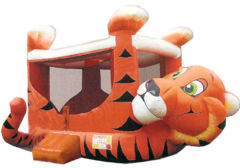 Welcome to Omaha's first family owned inflatable and party rentals online ordering system! You can book your event online, 24/7! No more waiting for the office to open - we're open when you are available. While we continue to improve upon our system, we appreciate your patience - and your feedback! Please give us a call if you have any questions or concerns regarding our new system. Click on the icons below to see our products and services available. 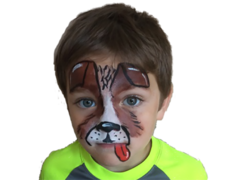 Jumpers 4 You offers professional face painting, water slides, bounce houses, concessions and more in Omaha, Nebraska and surrounding Omaha metro areas! Let us know if you have any questions or if you don't see what you are looking for! Some items are not available through our online ordering system. If you are interested in adding a product or service that is not available for direct booking, leave a note in the order comments section when you checkout and we will contact you and update your order. Jumpers 4 You delivery drivers are SIOTO certified! What does this mean for you? SAFE installation and operation of your units. We adhere to strict operating policies to ensure your little ones are protected from units that are not properly secured or used during unsafe weather conditions. Did you know that anyone can start a bounce house business, but they do not have to know how to safely secure the units for your party? Certifications by Jumpers 4 You means *Peace of Mind* for YOU! They are known by many names: bounce house, moonwalks, jumpers, bouncers or even a kids party inflatable thing. We call them a great time and we have a great selection. Offering professional face painting, inflatable slides, water slides, and concessions including: popcorn machines, sno-kones and cotton candy. So whatever you want to call them...give us a call or reserve on-line and we promise a great time.